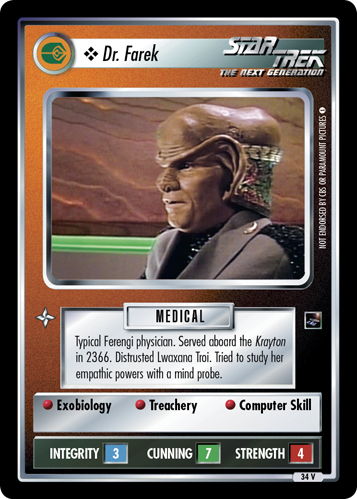 Dr. Farek is representative of male Ferengi trained in medicine. Seized control of the D'Kora class Ferengi Marauder, Krayton, in 2366. Image Source: The Next Generation: "Ménage à Troi"